MNX non-metallic enclosures are designed to house and protect electrical and electronic components in hostile environments. 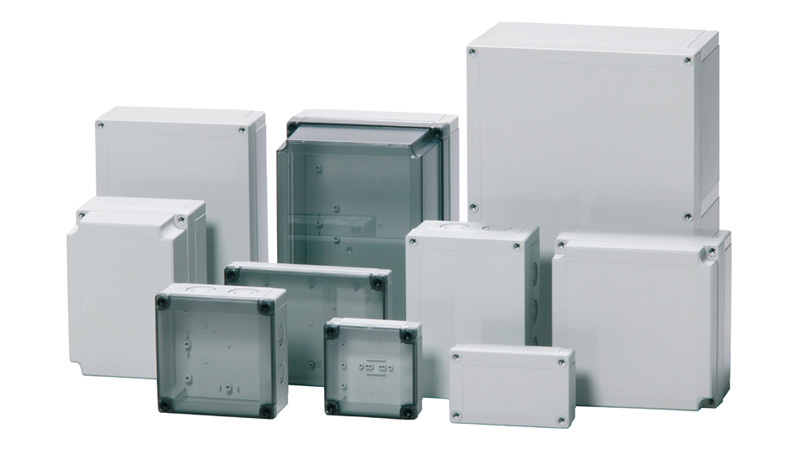 All MNX enclosure are UL listed and rated NEMA 4X (National Electrical Manufacturers Association). The MNX polycarbonate enclosure series range now exceeds over 260 variations including formed- in-place metric knock-outs. The pre-formed metric knock-outs provide easy modification in the field or factory floor of your enclosure while still retaining its NEMA 4X status (using an NEMA rated cable management device). This watertight enclosure is a real workhorse, both indoors and out. The MNX easily handles harsh environments and remains dry and dust free, with a high UV and impact resistance, this industrial polycarb box will not dent, crack, or blister, like a metal box or fiberglass enclosure. This UL listed NEMA 4X enclosure features European styling and a robust design. As with all Fibox non-metallic enclosures Fibox can offer custom cutouts and colors and all the standard hardware and accessories, you might need and truly make it unique to your application needs. Learn more about the MNX series contact Fibox today.